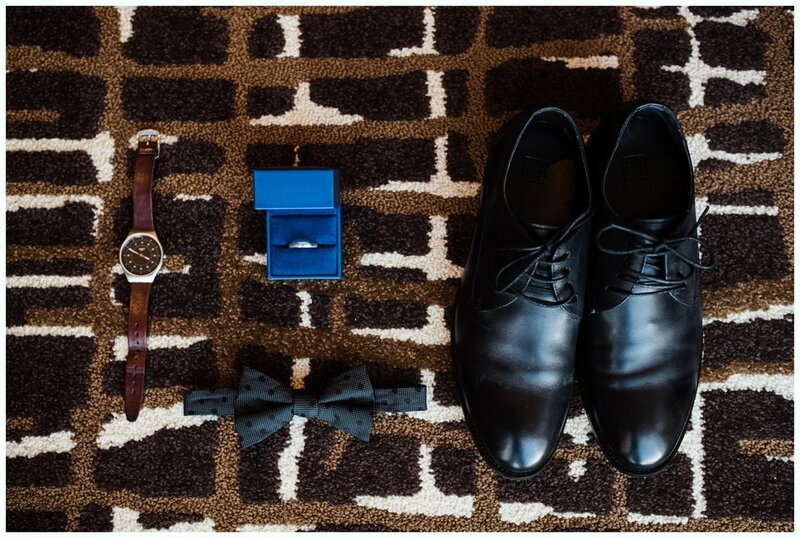 I’m pretty sure we start every wedding blog at a loss for words because DANG. We sure do love our jobs! Like…We get to celebrate love every darn day! AHH. Back to our regular scheduled programming…Brittney and Tucker! 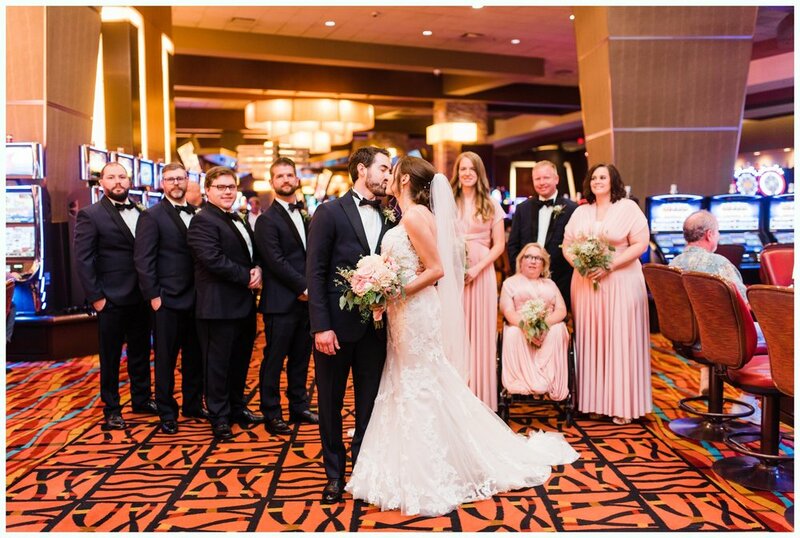 These two had their wedding on a sunny day in Durant, Oklahoma at the Choctaw Casino and Resorts. Which could not have been more perfect because it was H O T outside y’all. 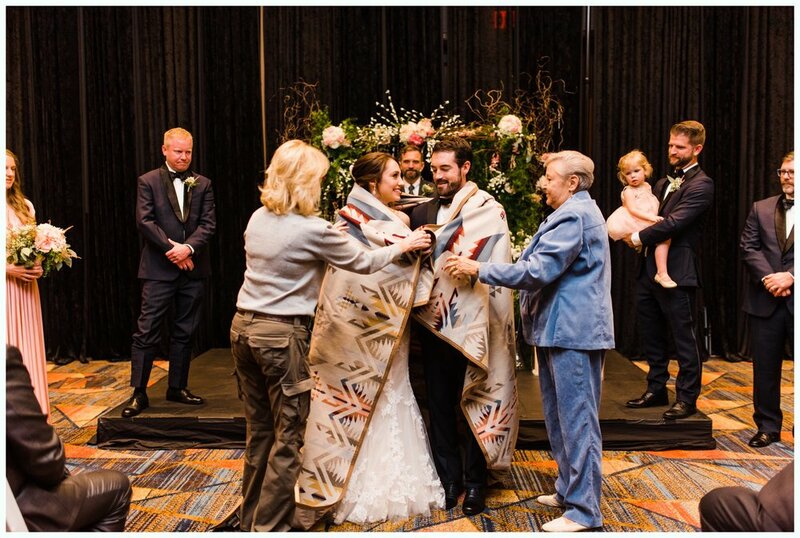 We stayed inside in the AC for 99% of the day, which made for a happy bride and groom! We started the day in Brittney’s room in the resort. 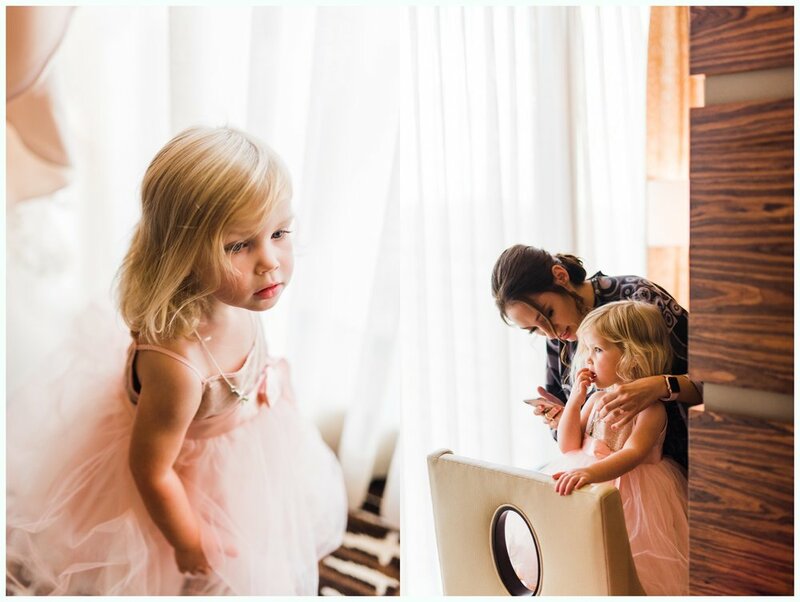 Gathering her details and making sure to photograph each one carefully (one of our favorite parts of the wedding day is details!). 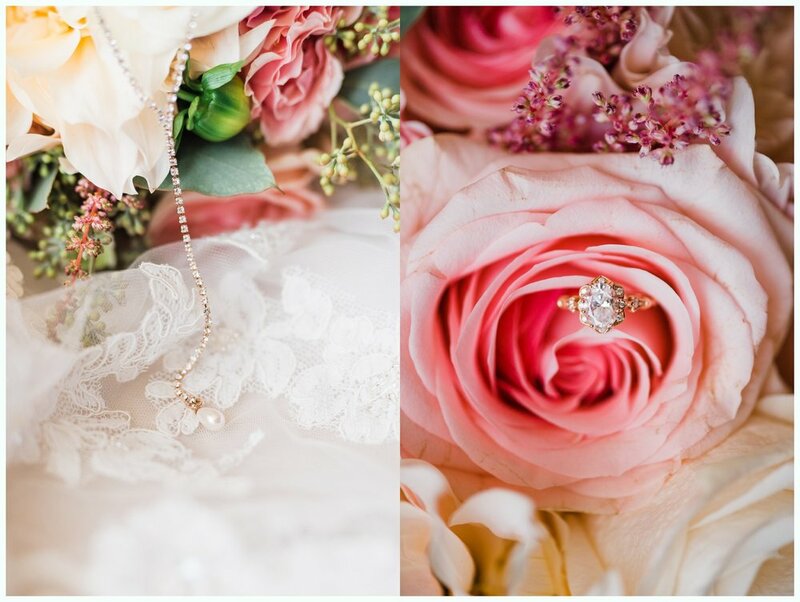 We got to see her engagement ring at her bridal session (Click HERE to see her bridals!) but actually photographing it up close made us melt. It is SO gorgeous! We are suckers for vintage style rings, and all things rose gold! This ring is to die for! 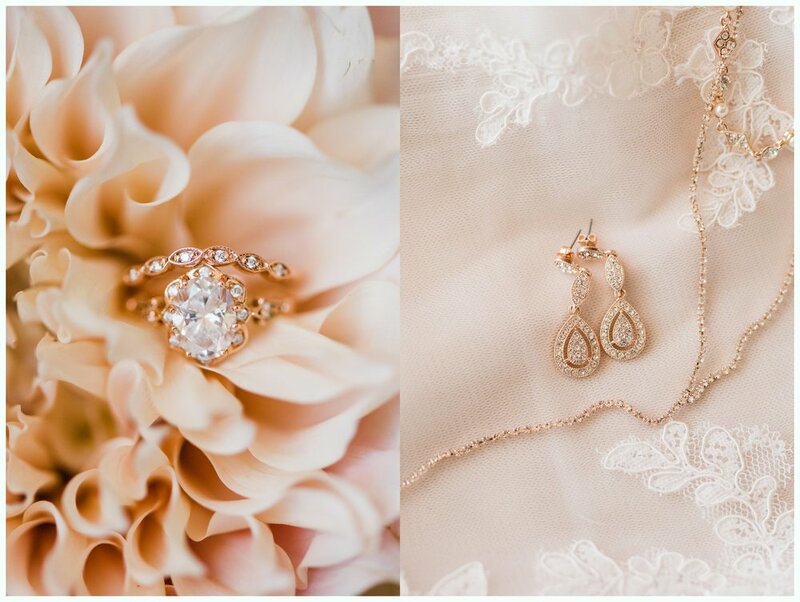 All of her other details were rose gold and sparkly…SWOON. The energy in the room was high and there were LOTS of smiles all around! Brittney was a super laid back bride as well, which always makes the getting ready time so much fun. 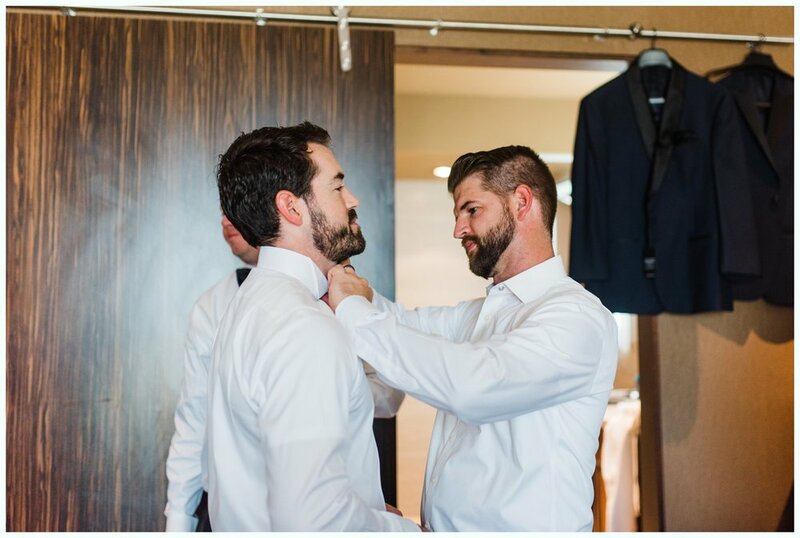 Natalie went to take photos of the guys getting ready while Amanda stayed to get the bride getting into her dress. 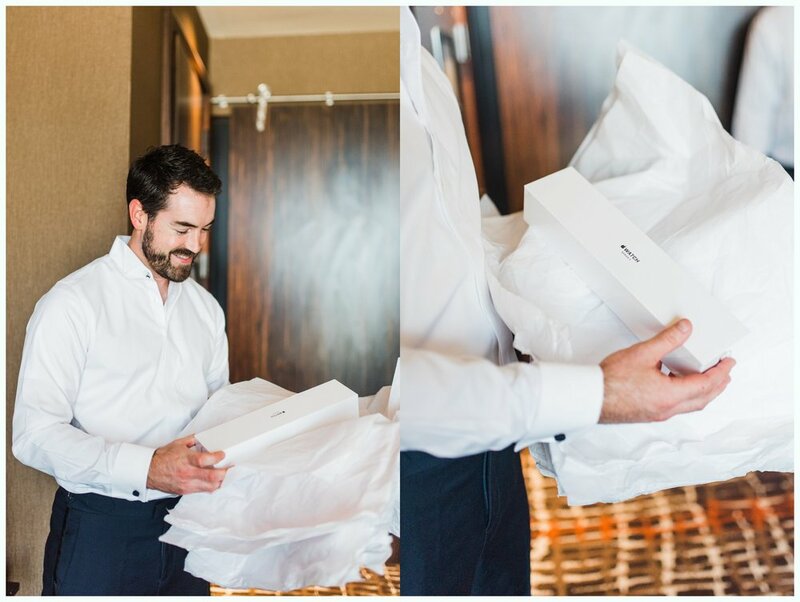 (Perks of two photographers…shameless plug) The guys were so much fun! 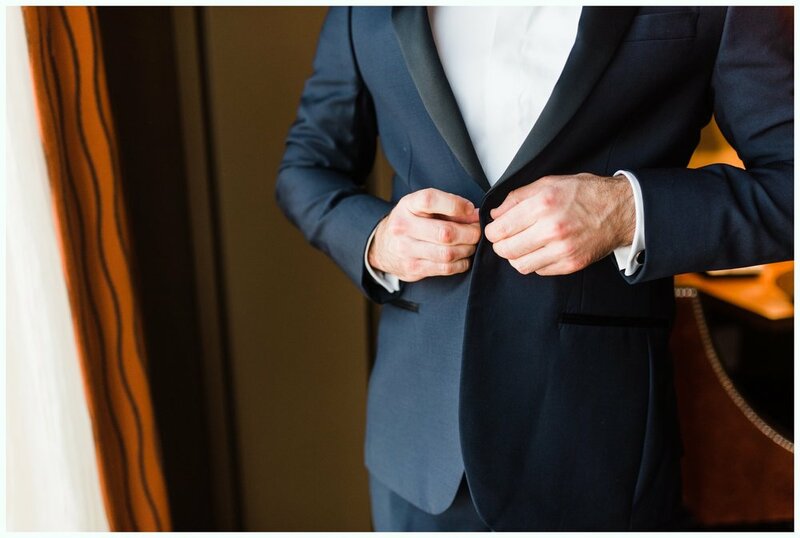 One of the things we try to do when the groom is getting ready at the same location as the bride, is photograph his details just like we do the brides! Luckily they were all in the same place so we got to do this. Brittney and Tucker didn’t want to do a first look, but wanted to have a special moment before the ceremony. So we had Tucker come up to Brittney’s room for this! There was this cool wall that separated the living area and the bed, so we had Tucker on one side and Brittney on the other to where they could hold hands but not actually see each other! 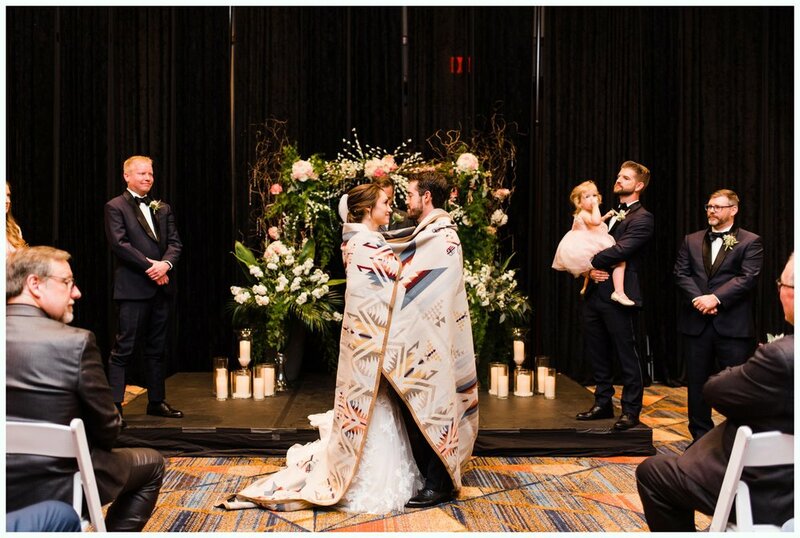 They shared a sweet moment, then we all made our way downstairs to the ceremony. 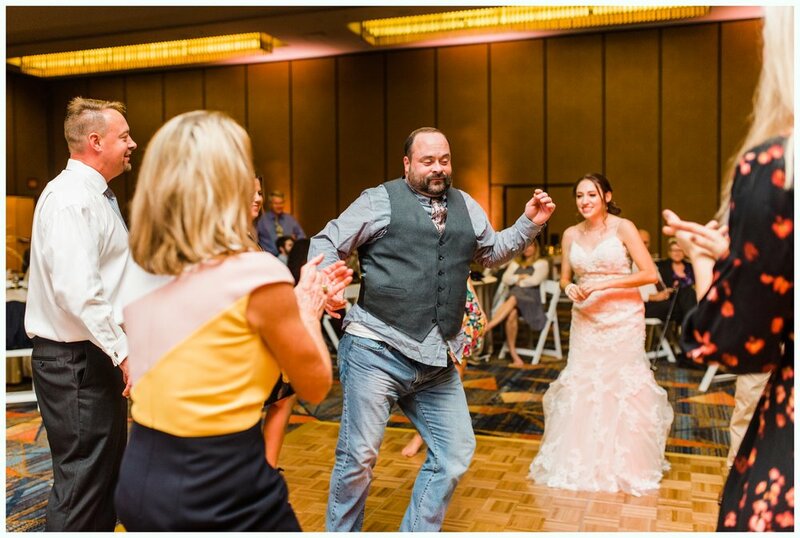 Everyone danced all night long, then the sweet couple ended their wedding day with one last special dance by themselves. 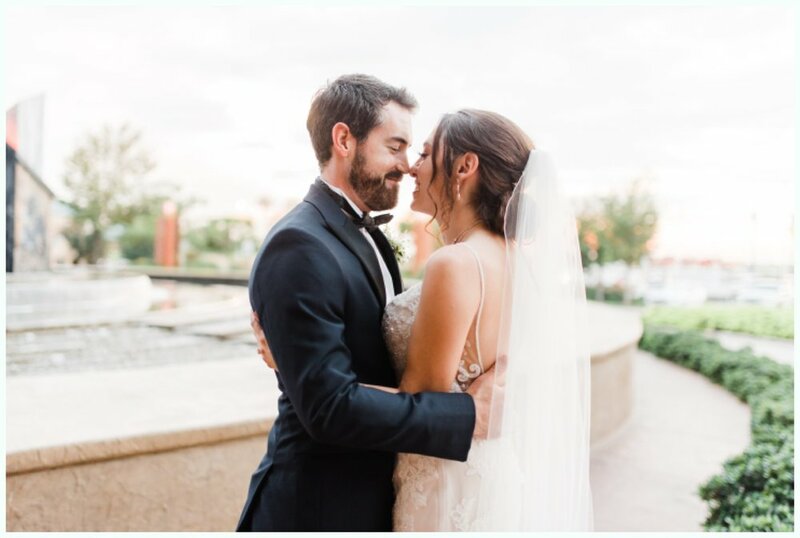 Brittney and Tucker- We wish you both happiness and all the love in the world! 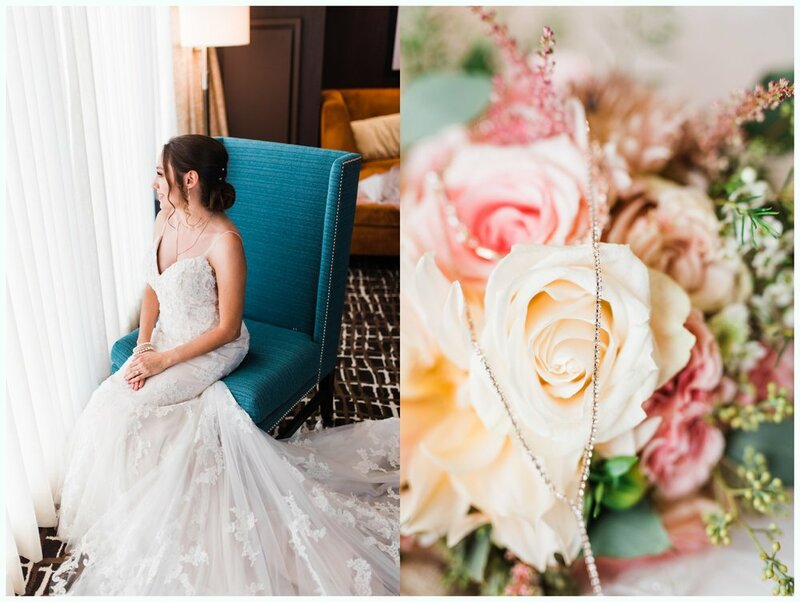 We are so very thankful and honored that you chose us to photograph and celebrate your wedding day! Congratulations! !